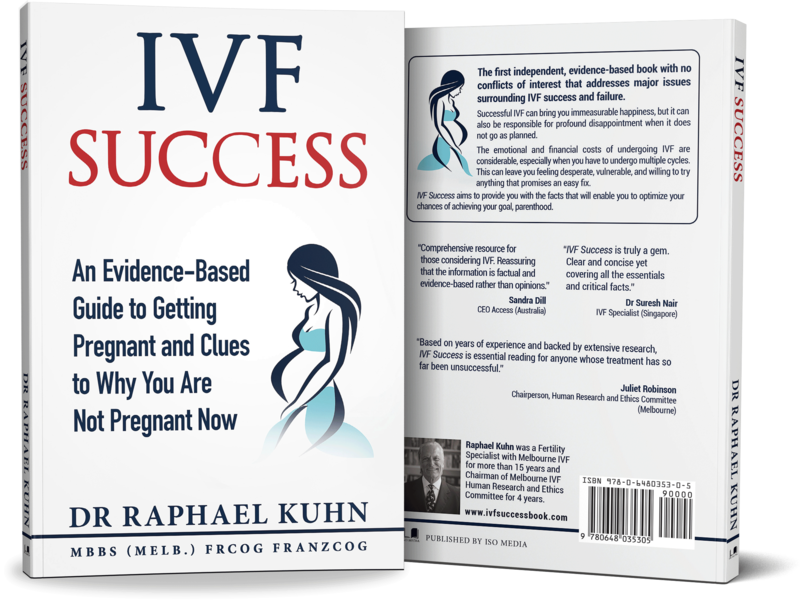 The first independent evidence-based book with no conflicts of interests to address major issues surrounding IVF success and failure. 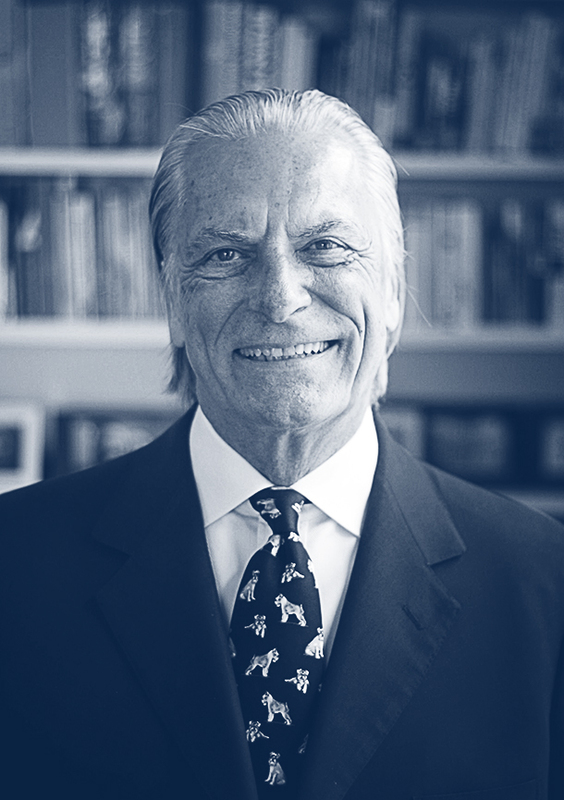 Dr. Raphael Kuhn was one of Melbourne's most respected IVF specialist. The age of the female whose eggs are used to create embryos in an IVF treatment cycle is the most important factor influencing outcome. Even just being overweight, not obese, has a very significant negative effect on IVF treatment outcomes, as well as increasing the risk of pregnancy complications including miscarriage. Smoking, both active and passive, excessive caffeine intake and exercise, and a socially acceptable level of alcohol consumption, all adversely impact IVF results. Uterine fibroids, depending on their location and size, and adenomyosis (presence of uterine lining in uterine muscle wall) can significantly contribute to IVF treatment failure. The role of endometrial polyps and endometrial thickness in unsuccessful IVF treatment is still debated. There is, however, good evidence that inflammation of the uterine lining, presence of fluid in the uterine cavity, and endometrial lining that is “out of sync”can be major contributors to IVF lack of success. Minimal or mild endometriosis is unlikely to compromise the results of IVF treatment. There is currently no good evidence that antiphospholipid antibodies and uterine Natural Killer cells, reputed markers of an immune system problem, are responsible for poor IVF results. Obesity, smoking and alcohol can all negatively affect sperm quality and the results of IVF treatment. Difficult embryo transfer significantly reduces not only IVF pregnancy rates but also, more importantly, live birth rates. Stimulation protocols, the hormone injection combinations that are taken to recruit follicles and mature the eggs they contain in readiness for collection, play a significant role in IVF success. It is not a case of one size fits all. Total fertilization failure is a devastating event that may seem to shatter all hope. However, the problem can often be resolved in a subsequent IVF treatment cycle. Luteal Phase Support (LPS) is mandatory in any IVF treatment cycle that involves the use of Gonadotrophin Releasing Hormone (GnRH) agonists or antagonists. Some forms of LPS are not without complications. LPS is often continued longer than it needs to be. Endometrial scratching, serum progesterone measurement on day of hCG trigger, zona selected ICSI, Preimplantation Genetic Screening (PGS), changes in stimulation protocol and embryo glue, all warrant consideration in trying to improve IVF treatment outcomes. Melatonin, acupuncture, hCG trigger modifications in normal responders, and the use of androgens or Growth Hormone in poor responders merit discussion, as does fresh versus thawed embryo transfer. You realize that what you are doing is not working, but your heart is set on continuing. You still want to be a mother . After considerable soul searching, consultations with your fertility specialist and IVF counselor,and discussions with those closest to you, you decide to proceed and find a suitable donor.